This Here Is Bobby Timmons is the debut album led by American jazz pianist Bobby Timmons recorded in 1960 and released on the Riverside label. This is a classic Riverside set that has been reissued on CD in the Original Jazz Classics series. Pianist Bobby Timmons by early 1960 had already had successful stints with Art Blakey (where he contributed “Moanin'”) and Canonball Adderley (writing “This Here” and “Date Dere”). 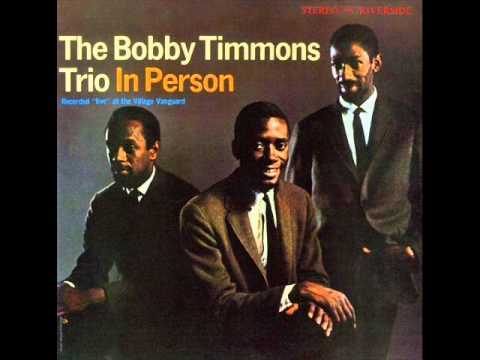 For his first recording as a leader, Timmons (whose “funky” style was beginning to become very influential) performs those three hits along with his own “Joy Ride” and five standards in a trio with bassist Sam Jones and drummer Jimmy Cobb. Always more than just a soul-jazz pianist, Timmons (who effectively takes “Lush Life” unaccompanied) became a bit stereotyped later in his career but at this early stage was at the peak of his creativity. Essential music (https://goo.gl/7StCZa). Recorded at Reeves Sound Studios in New York City on January 13 & 14, 1960.